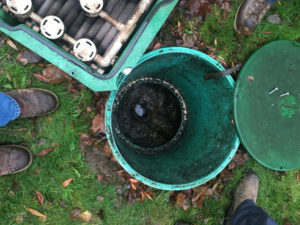 A septic tank can do more than just smell poorly. Call Vac-Tec, LLC when you’re ready for septic tank cleaning to prevent or reverse problems. 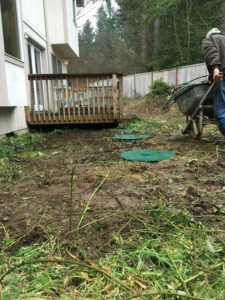 With regular septic service, you can also make sure that you maintain your investment. Replacing a septic tank can be expensive and troublesome, so call us today to make sure you won’t need a new one for many years to come. With their help, your septic tank will be like-new in no time. You can prevent damage, waste water seepage, and bad odors from affecting your home or business in Camp Murray. Call us to schedule septic service today and get on a regular septic cleaning schedule. Why Should Camp Murray Residents Choose Us for Septic Pumping? We promise the best in all of these areas for our Camp Murray clients. If you’re concerned about septic pumping cost, let us assure you that we charge reasonable prices. We also encourage our clients to get on a regular septic pumping schedule. This prevents more expensive visits as well as catches problems before they become larger. With the best company on the job, you’re guaranteed 100% satisfaction as well as improved function of your plumbing and septic tank. Don’t waste time hiring untrained plumbers for septic pumping; call us so you can get the best services. Vac-Tec, LLC can help Camp Murray property owners with septic tank cleaning. 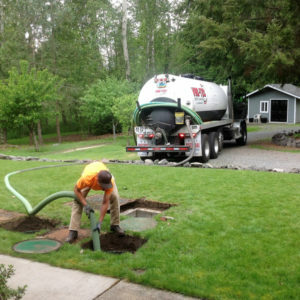 We provide septic tank pumping every 3 to 5 years to help prevent problems and keep your plumbing in great shape. Call us at Tacoma – (253) 777-4887 Seattle – (206) 339-0039 Olympia – (360) 338-6686 North Dakota – (701) 566-0045.